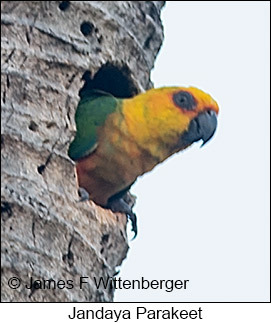 Northeast Brazil is an area rich in endemism, in part because of the varied habitats that differ substantially from the Amazon rainforest and the SE Atlantic Forest regions and in part because of significant development that has left only remnants of the original habitat intact. It takes about a month to cover all the important birding sites in the region, which can be done in a single tour or broken up into two 2-week tours. Birding the region entails quite a lot of driving since this part of Brazil is quite large and important bird areas are in some cases quite far apart. The goal of my scouting trip to the region was to see as many endemics as possible throughout the region during a nearly 4 week tour. I had two guides, one a Brazilian guide very familiar with the region and the other a guide who was new to the northeast and wanted to gain experience in that area. The tour was a complete success. We saw most endemics possible with our itinerary while recording 477 species total. I also obtained numerous photos, included in our Brazil gallery page and Brazil country page on our website. Nov 3: I arrived in Sao Paulo early in the morning and took a mid-day flight from there to Fortaleza where I met my birding guide. After picking up our rental car, we spent the rest of the day driving to Icapui, arriving late afternoon. Nov 4: Like most days of the tour, we were up by 5:00am as dawn arrives early in the region. We went birding in a caatinga area outside Icapui. We quickly picked up Spot-backed Puffbird, Rufous-tailed Jacamar, Caatinga Antshrike, Long-billed Wren, Orange-headed Tanager, Red-cowled Cardinal, and Campo Troupial. We then walked a trail into caatinga scrub where we had good looks at Silvery-cheeked Antshrike, Rufous-crowned Greenlet, Pileated Finch, and Purple-throated Euphonia. On our way back to town we had a brief partial view of White-naped Jay before it flew off. After breakfast we went to an area of mangroves on the other side of town. We were looking for the elusive Little Wood-Rail, which failed to appear. It was quite windy, typical for the area, and all we saw were a few migratory shorebirds. At mid-day we went to a restaurant that had extensive mangroves in the back, and in short order we had amazing views of three Little Wood-Rails quite close and in the open feeding among the mangroves in the mudflats. We spent the hot part of the day back at the hotel before going out again at 3:30pm. The only notable new species was a stunning Black-bellied Antwren that showed briefly in the caatinga scrub. 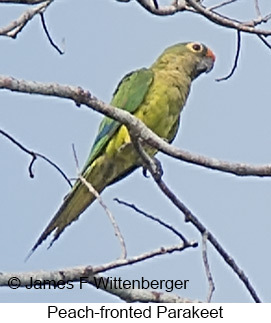 Nov 5: We drove out early to a different caatinga area and quickly spotted a Caatinga Parakeet perched along the road. Other birds we saw were Common Ground-Dove, Picui Ground-Dove, and a few migrant shorebirds. At 9:30am we departed for the Baturite Mountains, an area of lush rain forest, arriving there at 12:30pm. We went out birding at 3:00pm. 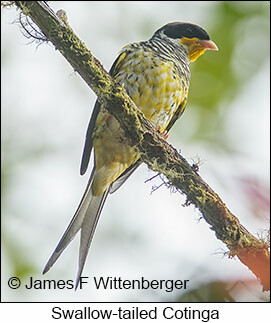 The best species we saw was a flock of Gray-headed Parakeets, now listed as near-threatened due to habitat destruction. We also saw Swallow-tailed Hummingbird, Fork-tailed Woodnymph, Ochraceous Piculet, Green-barred Woodpecker, Gray-headed Spinetail, Planalto Tyrannulet, Buff-breasted Tody-Flycatcher, and Red-necked Tanager along with a variety of other common species. Nov 6: We spent all day birding forest areas around Guaramiranga in the Baturite Mountains. Before breakfast we had good looks at Gould's Toucanet, Little Woodpecker, Ochre-backed Woodpecker, Plain Antvireo, Ceara Gnateater, Yellow-breasted Flycatcher, Euler's Flycatcher, Short-crested Flycatcher, and Band-tailed Manakin. We also had brief views of Red-billed Hermit and Black-capped Antwren. After breakfast we picked up Ceara Leaftosser, Atlantic Woodcreeper, and Red-necked Tanager. That afternoon we added Buff-bellied Tody-Tyrant and Blue-crowned Trogon. Other species seen during the day included Gray-cowled Wood-Rail, Yellow-chevroned Parakeet, Variable Antshrike, Pale-breasted Thrush, and Pectoral Sparrow. Nov 7: This morning was overcast with a bit of rain. Nevertheless, we did some birding around the lodge grounds. We had good views of Gray-cowled Wood-Rail, Rufous-breasted Hermit, Glittering-bellied Emerald, Ochraceous Piculet, Ochre-backed Woodpecker, Great Antshrike, Black-capped Antwren, Straight-billed Woodcreeper, Wing-banded Hornero, Short-crested Flycatcher, Band-tailed Manakin, Rufous-bellied Thrush, Golden-crowned Warbler, and Burnished-buff Tanager. We also saw Large Elaenia in silhouette. At 10:00am we left the hotel for the 2-hour drive to Pedro dos Ventos near Quixada, a very dry area in stark contrast to Baturite. On the hotel grounds we quickly found a couple roosting Pygmy Nightjars that blended in very well with the rocks in the garden. That afternoon we did some birding around the grounds. Notable birds included Pearl Kite, Black-chested Buzzard-Eagle, Pearly-vented Tody-Tyrant, and White-naped Jay. At dusk we had a very poor view of White-browed Guan far away. Nov 8: We were up at 4:30am to visit the likely area for White-browed Guans. It was rainy and little bird activity was evident. We sat in the car for 45min waiting for the weather to improve. During the next hour we were able to pick up Caatinga Cachalote, Scaled Dove, Eared Dove, Ochraceous Piculet, Sooty-fronted Spinetail, and Cattle Tyrant. We also had good looks at Tataupa Tinamou crossing our path. We heard the guans but never saw them. We left after breakfast for our next destination near Crato. En route we stopped at a lake where we picked up some waterfowl, herons, egrets, and shorebirds. That afternoon we visited Arajara Park near Crato, best place to see Araripe Manakins. We soon had stunning views of this spectacular bird. 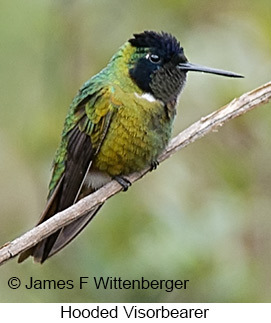 Other species seen there included Sick's Swift, Broad-tipped Hermit, Sapphire-spangled Emerald, and Tawny Piculet. We also had nice views of a family of White-tufted Marmosets. Nov 9: We spent the morning birding caatinga habitat in Chapada do Araripe. Weather was overcast and drizzled intermittently. We soon had very nice views of Ochre-cheeked Spinetail and Red-shouldered Spinetail in the tangles. After a brief rain delay we then saw the quite amazing Great Xenops very well. After another rain delay we ferreted out a White-browed Antpitta hiding deep in a thicket. 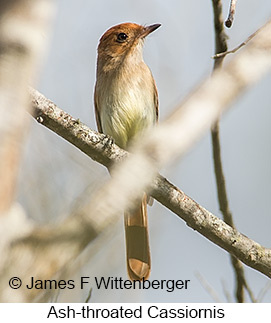 We then had good views of Tawny Piculet, Caatinga Antwren, Gray-headed Spinetail, and Gray-eyed Greenlet. With additional effort we found a perched Cactus Parakeet, Glittering-bellied Emerald, a tail-less juvenile Caatinga Antshrike, Rufous-fronted Thornbird, Lesser Wagtail-Tyrant, and Ultramarine Grosbeak. That afternoon we visited the very different forest habitat of Araripe National Forest. There we soon saw White-naped Jay followed by a flock consisting of Black-capped Antwren, Olivaceous Woodcreeper, Streaked Xenops, Planalto Tyrannulet, Yellow-breasted Flycatcher, Golden-crowned Warbler, and Burnished-buff Tanager. We then had the good fortune of spotting the often difficult to see Ash-throated Cassiornis. Shortly before dusk we found Ceara Leaftosser that flew overhead and then perched at eye level in thick understory. Nov 11: We were up at 4:00am for the 40-min drive to the canyonlands where Indigo Macaws roost. We went in the 4-wheel-drive driven by a park ranger. We spent the next two hours watching and photographing the macaws flying around in the canyon and above the cliffs. It was an amazing and unforgettable spectacle. On the way back we had good views of two juvenile Harris Hawks soaring overhead and stopped to photograph White-throated Seedeaters behind the ranger's residence. After breakfast we birded a nearby area where we saw a number of species seen previously. New birds were a female Stripe-breasted Starthroat and Mouse-colored Tyrannulet. We were back to the lodge by 9:30am. By then it was very hot and bird activity was nearly non-existent. We did see a King Vulture soaring very far away a half hour later. That afternoon we drove to a site of permanent water where birding was very good. Notable species seen well there included Spot-backed Puffbird, Crimson-crested Woodpecker, Yellow-chinned Spinetail, Black-backed Water-Tyrant, Masked Water-Tyrant, Cattle Tyrant, several stunning Scarlet-throated Tanagers, Hooded Tanager, Chestnut-vented Conebill, Variable Oriole, a flock of Pale Baywings, and Chestnut-capped Blackbird. Nov 12: After getting some extra sleep and eating breakfast at 7:00am, we did some birding in dry scrub around the lodge and outside Canudos. We then left for the long drive to Quilombo, arriving in late afternoon. En route we had good views of Burrowing Owl, the very range-restricted and vulnerable Pectoral Antwren, and a soaring White-tailed Hawk. Near town and at the lodge we managed to find Zone-tailed Hawk, Glittering-throated Emerald, Tawny Piculet, Olivaceous Woodcreeper, Rufousw-fronted Thornbird, a variety of flycatchers, Green-backed Becard, Orange-headed Tanager, and Blue-black Grassquit. Nov 13: This day was devoted to visiting Murici Biological Station, a quite long drive by hired 4x4 through rolling hills outside town. We were up at 3:20am, left the hotel at 4:00am, and arrived in the forest at 5:20am. We soon had good views of Blue-backed Manakin followed by partial views of Pernambuco Fire-eye. These were followed by good views of Grayish Mourner, a back-lit look at Rufous-winged Antwren, and then good looks at White-flanked Antwren, Black-cheeked Gnateater, White-bellied Tody-Tyrant, Screaming Piha, Red-headed Manakin, and Yellow-backed Tanager. We also had back-lit views of Black-headed Berryeater and distant but decent looks at Yellow-green Grosbeak. That afternoon, after a box lunch, we picked up Scalloped Antbird and a flock of Red-shouldered Macaws. 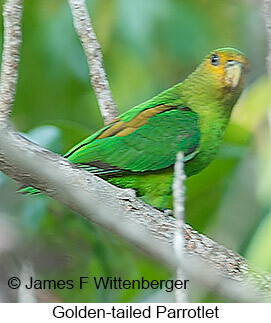 On the way back we had good views of a stunning Seven-colored Tanager and saw another soaring Zone-tailed Hawk. Nov 14: We were up at 3:40am for 4:00am departure to Jaqueira Forest Reserve. We arrived at 5:30am. The reserve features a pond and meadows along with good forest. We soon spotted one of our major targets, the tiny Alagoas Tyrannulet. This was followed by Lettered Aracari, Golden-spangled Piculet, Gray Elaenia, and Piratic Flycatcher, all high in the canopy. We then hiked into the forest following a long uphill trail. We had good views of Pernambuco Fire-eye and back-lit view of Orange-bellied Antwren. Other interesting birds included . After lunch we drove the 2½ hour drive to the resort town of Tamandare on the coast, arriving about 4:15pm. Nov 15: We got up at 5:00am for early departure but had a small incident where my guide misplaced the car keys. It delayed us for an hour before he finally found them. We arrived at the birding site by 6:30am and quickly found Forbe's Blackbirds along the road and a White-collared Kite perched very far away. A White-winged Cotinga flew by a long ways off, which I missed. We had excellent views of Black-throated Mango, Black-necked Aracari, Red-shouldered Macaw, Yellow Tyrannulet, Black-tailed Tityra, and White-lined Tanager along with two Blue-headed Parrots that flew over. 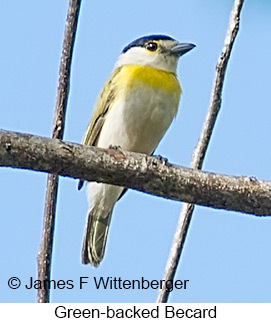 We also had distant views of Opal-rumped Tanager and Buff-throated Saltator. We arrived back in town at 9:50am for late breakfast. Since it's very hot during mid-day, we waited until 2:30pm to go back out birding. It was high tide so we went back to the forest to try for Willis's Antbird, which we saw very well. In the same area we found Black-capped Donacobius, a widely distributed species but the only one we saw on this tour. At 5:00pm we found four Jandaya Parakeets that popped out of their nest hole on a frondless palm trunk in the open. By then it was low tide so we went to a mangrove area where we had superb views of Mangrove Rail, one of our major target birds along with the parakeets. 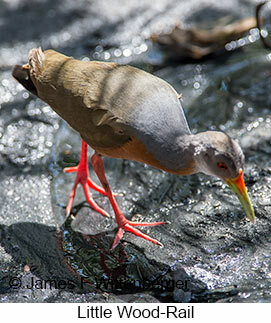 Shortly thereafter we also had brief views of Gray-cowled Wood-Rail. Nov 16: Next morning we departed right after 6:00am breakfast for Estancia, a long drive of 8 hours. We arrived at 2:45pm and after check-in drove another 30min to a forest patch outside town. Birding was along a busy road through the forest. We were able to find Green-backed Trogon, Channel-billed Toucan, Green-backed Woodpecker, Crimson-crested Woodpecker, Golden-tailed Parrotlet, Orange-winged Parrot, Peach-fronted Parakeet, Golden-capped Parakeet, Fringe-backed Fire-eye, White-rumped Swallow, and Chopi Blackbird before dark. Nov 17: We departed Tamandare at 7:10am for the long transfer to Lencois. We reached there at 3:25pm. Along the way we picked up Red-legged Seriema in open scrub. We also found White-cheeked Pintail, Guira Cuckoo, Spot-backed Puffbird, Spotted Piculet, Caatinga Cacholote, and Greater Wagtail-Tyrant. We went out birding after arrival and soon saw Short-tailed Hawk, Biscutate Swift, Planalto Hermit, Versicolored Emerald, Glittering-throated Emerald, and Pale Baywing. Perhaps the most interesting bird of the afternoon was a mostly white albinistic Smooth-billed Ani. Nov 18: We spent all morning birding around Palmadas in Diamantina National Park. With some effort we ferreted out a major target bird, the rare Sao Francisco Sparrow, which is best seen very early in the morning. We then picked up Rusty-legged Guan along the road. At Palmadas we soon picked up Black-bellied Antwren, Mouse-colored Tyrannulet, Orange-headed Tanager, and Dubois's Seedeater. At 7:00am we had brief good looks at another Sao Francisco Sparrow in thick scrub. Mid-morning we had stunning views of a male Hooded Visorbearer that flashed it's iridescent orange throat when it turned just right. The morning also produced Spotted Piculet, Cactus Parakeet, Rufous-winged Antshrike, Sincora Antwren, White-shouldered Fire-eye, White-crested Tyrannulet, Cinnamon Tanager, Pale-throated Pampa-Finch, White-bellied Seedeater, Plumbeous Seedeater, Green-winged Saltator, and Pale Baywing. In the afternoon we went birding outside Lencois. There we saw two King Vultures soaring overhead along with Black-capped Antwren, Tropical Pewee, a female Helmeted Manakin, and White-naped Jay. Nov 19: This day was spent birding various sites within and near Diamantina National Park outside Mucuge. We first drove to a white-sand cerrado area to look for Horned Sungem, which we never found. En route there we picked up White-vented Violetear, Collared Crescentchest, Plain-crested Elaenia, and Black-throated Saltator. In the cerrado area we found White-eared Puffbird, Rufous-winged Antshrike, Variegated Flycatcher, Fork-tailed Flycatcher, White-banded Tanager, and Chestnut-capped Blackbird. That afternoon we went looking for Diamantina Tapaculo, first described in 2007. We soon had stellar views of a bird singing in the open. 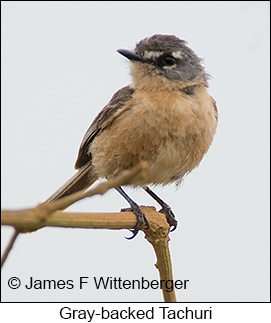 We then had excellent views of the rare Rufous-sided Pygmy-Tyrant along with Narrow-billed Antwren, Flavescent Warbler, and Grassland Sparrow. We tried very hard to find Gray-backed Tachuri with no luck. Nov 20: We returned very early back at the cerrado area and this time finally found Gray-backed Tachuri with a lot of effort. We also picked up a White-tailed Kite hovering above the cerrado, a perched Aplomado Falcon, a flock of Burrowing Owl, Stripe-tailed Yellow-Finches, Grassland Yellow-Finch, and White-browed Meadowlark. At 8:15am we checked out of our hotel and departed for Boa Nova. A last stop in the cerrado produced another Gray-backed Tachuri. En route we had very distant views of a White Monjita. We arrived at Boa Nova about 2:00pm and went out birding at 3:15pm. 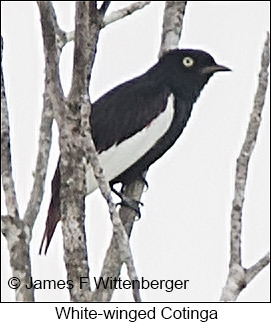 We soon had stunning views of our main target bird, Slender Antbird singing on an open perch. 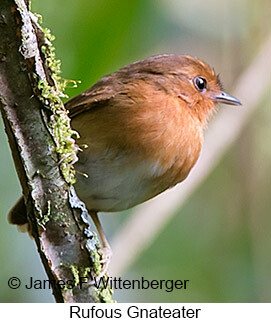 We heard another target species, Hook-billed Hermit but never saw it. We saw another White Monjita quite far away, along with a Campo Flicker and Streaked Flycatcher. In late afternoon we visited a magical place of rocks, barrel cactus, and lichen at an old lava flow. There we had good views of Ruby-topaz Hummingbird along with Sapphire-spangled Emerald, Golden-green Woodpecker, and Tawny-crested Pygmy-Tyrant. Nov 21: We spent all day birding Boa Nova with a mid-day break from 10:45am-3:00pm. During early morning we had great views of Striated Softtail and Yellow-lored Tody-Flycatcher followed by a brief good view of a White-collared Foliage-gleanerand Gilt-edged Tanager. 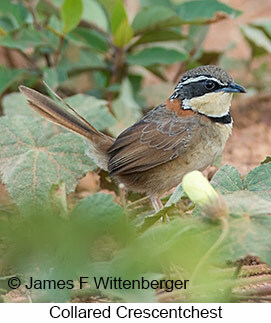 We then had excellent views of a stunning Bahia Spinetail. This was followed by mostly good views of Scale-throated Hermit, Rio de Janeiro Antbird, Plain-winged Woodcreeper, Planalto Woodcreeper, Pallid Spinetail, Drab-breasted Pygmy-Tyrant, Bearded Flycatcher, Whiskered Flycatcher, Grayish Mourner, Chestnut-crowned Becard, and Black-goggled Tanager. We also had very brief views of Black-billed Scythebill before it disappeared into the forest. About 9:00am we hiked a trail into the forest for an hour or so, picking up Reddish Hermit, Black-throated Trogon, Spot-breasted Antvireo, Ferruginous Antbird, and White-shouldered Fire-eye. That afternoon we returned to the forest. In an open pond area we briefly saw Sharp-tailed Streamcreeper and had good views of Campo Flicker. We also had brief views of a Blackish Rail. That was followed by a mixed species flock that included at least Spot-breasted Antvireo, Cinereous Antshrike, Plain-winged Woodcreeper, Striated Softtail, White-bearded Manakin, and Red-crowned Ant-Tanager. 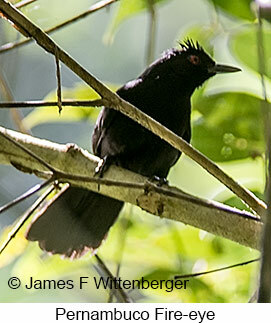 Farther along the track we had brief views of Tufted Antshrike. In an open area we picked up Wedge-tailed Grassfinch with the guide also seeing Ash-throated Crake and a fly-by Red-ruffed Fruitcrow. 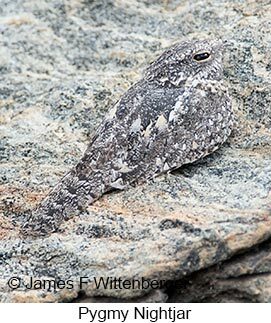 We stayed out until dark, when we picked up a male Scissor-tailed Nightjar and several Pauraques on the way back. Nov 22: During early morning we visited Timorante Forest, a remnant forest patch near Boa Nova. There we quickly had very good views of Guira Cuckoo, Yellow-bellied Flycatcher, Eastern Striped Manakin, Green-backed Becard, Orange-headed Tanager, Brazilian Tanager, Burnished-buff Tanager, Gilt-edged Tanager, Chestnut-vented Conebill, and Chestnut-bellied Euphonia. We saw a King Vulture soaring high overhead and two Golden-capped Parakeets flying by along with brief views of Pin-tailed Manakin. Mid-morning we departed for Serra Bonita, arriving there after lunch at 1:40pm. We were met up a 4x4 driver who took us up the mountain to the lodge. We spent the afternoon viewing and photographing birds coming to feeders at the lodge. Notable birds there included Spot-billed Toucanet, Yellow-throated Woodpecker, Maroon-bellied Parakeet, Azure-shouldered Tanager, Golden-chevroned Tanager, Green-headed Tanager, Red-necked Tanager, and Orange-bellied Euphonia. Nov 23: After early breakfast we went birding along the access road and then uphill from the lodge through good forest. We soon saw a prized Pink-legged Graveteiro high in the forest canopy, a difficult bird to see well. We hiked up to the radio towers high on a hill overlooking the valleys below. Along the way we saw Yellow-throated Woodpecker, Plumbeous Antvireo, White-streaked Antvireo, Salvadori's Antwren, Streak-capped Antwren, Rufous Gnateater, Lesser Woodcreeper, Sharpbill, Swallow-tailed Cotinga, Yellow-legged Thrush, and Black-throated Grosbeak. In the clearing at the top of the trail we had stunning views of Pink-legged Graveteiro, good views of Black-capped Becard and Rufous-headed Tanager and back-lit views of Ochre-breasted Foliage-gleaner. We also had sitant views of Gray-capped Tyrannulet. After hiking back down to the road walked up to the radio towers where we picked up Mantled Hawk, Amethyst Woodstar, Star-throated Antwren, and Sooty Grassquit. After lunch we went back out along the road and soon saw a soaring Black-and-white Hawk-Eagle overhead. We had partial views of a tiny Least Pygmy-Owl roosting in the canopy. We had excellent views of three Thrush-like Wrens and a Rufous-breasted Solitaire. Other birds we saw included Spot-billed Toucanet, Buff-throated Woodcreeper, Gray-hooded Attila, and Eastern Striped Manakin. 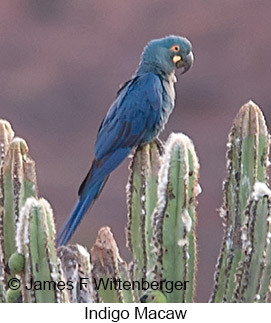 Nov 24: We drove down the mountain after 6:00am breakfast and birded the lowlands below Serra Bonita until 9:45am. It was quite hot by 7:30am and birding was slow. Even so, we picked up Rufous-breasted Hermit, Black-necked Aracari, Channel-billed Toucan, Red-stained Woodpecker, Maroon-faced Parakeet, Peach-fronted Parakeet, Eared Pygmy-Tyrant, Crested Becard, Opal-rumped Tanager, Yellow-rumped Cacique, and Red-rumped Cacique. From there we drove to Porto Seguro, arriving at 1:15pm. After a couple hours relaxation we went birding in secondary forest owned by the Veracel paper company. The best bird of the afternoon was a female White-winged Cotinga perched very far away. We did have good views of Rufous-throated Sapphire, White-wedged Piculet, Red-browed Parrot, Peach-fronted Parakeet, Sooretama Slaty-Antshrike, White-bibbed Manakin, and White-bellied Tanager. Nov 25: We departed at 5:00am for Veracel's forest and quickly found two East Brazilian Chachalacas next to the road on the edge of town. Back at Veracel we had good looks of Bahia Antwren in the canopy followed by Black-eared Fairy and Rufous-throated Sapphire. We then had scope views of distant Ringed Woodpecker followed by a female Racquet-tailed Coquette feeding in a flowering bush near the road. We also picked up Violet-capped Woodnymph, Band-tailed Antwren, and Eared Pygmy-Tyrant. We returned to the white sand area where we hoped to see White-winged Cotinga. After considerable patience a male appeared, at first very far away and then much closer, where it perched in a tree about 100 yards from us. We also had distant views of the female once again. That was certainly the highlight of the morning. After lunch and a break back in town, we returned to the forest where we managed to see a Crane Hawk in flight and a male Racquet-tailed Coquette that flew overhead at high speed. Nov 26: We returned to Veracel forest just before dawn and found a Crab-eating Fox standing on the road. We had scope views of Orange-winged Parrots in a distant tree and a distant female Banded Cotinga. We later had scope views of three female White-winged Cotinga as well. The best bird of the morning was certainly a rare Hook-billed Hermit, seen extremely well while it perched in the open for quite some time. Veracel is the best place to see this rare and often missed species. Other birds seen during the morning included Gray-headed Kite, Rufous-throated Sapphire, Black-necked Aracari, Blue-headed Parrot, Ochre-marked Parakeet, Sepia-capped Flycatcher, Moustached Wren, and Opal-rumped Tanager. That afternoon we returned to the forest and stayed out until after dark. Bird activity was very low and we didn't see anything new until dark, when we picked up Short-tailed Nighthawk and then Tawny-breasted Owl. Nov 27: We left Porto Seguro at 7:50 after breakfast, arriving in Itacare by 1:20pm for lunch. After lunch we did some birding at the guide's home and along the road near his home outside town. The most notable birds seen there included a Bat Falcon, the first one our guide had ever seen there, Capped Heron, also the first time seen there, and perched Golden-tailed Parrotlets. The latter are almost always seen flying fast overhead and rarely when perched. The guide saw White-fringed Antwren, which I missed. We also saw East Brazilian Chachalaca, Pale-vented Pigeon, Spotted Piculet, White-lored Tyrannulet, Brazilian Tanager, White-bellied Tanager, and Violaceous Euphonia. Nov 28: We were up early for the half hour drive to Agua Boa, arriving at 5:35am. We birded our way down a slippery clay trail. We had just a glimpse of a very distant Bare-throated Bellbird, not enough even to tick it. We had good views of Racquet-tailed Coquette, White-fringed Antwren, and Long-billed Gnatwren along with a female Blue-backed Manakin. 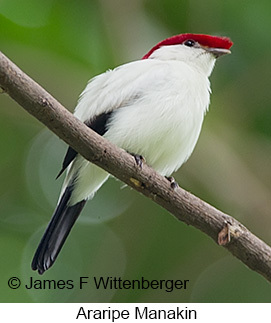 We had excellent views of White-fronted Nunbird and Scaled Antbird followed by Black Hawk-Eagle soaring high overhead and brief views of White-crowned Manakin. Other notable birds seen included Lesser Swallow-tailed Swift, Red-stained Woodpecker, and Plain Xenops. We were back to town by 10:00am and from there drove to the airport in Salvador for flight back to Sao Paulo.